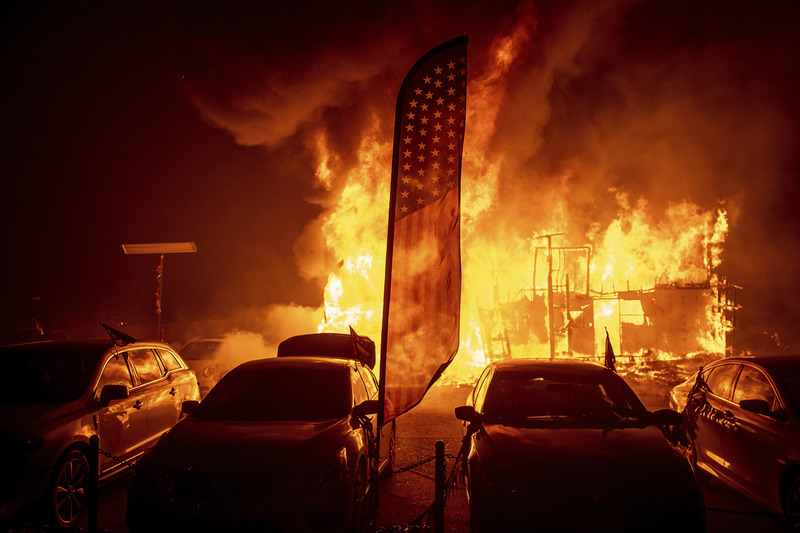 PARADISE, Calif. -- A fierce wildfire in Northern California incinerated most of a town of about 30,000 people with flames that moved so fast there was nothing firefighters could do, authorities said Friday. 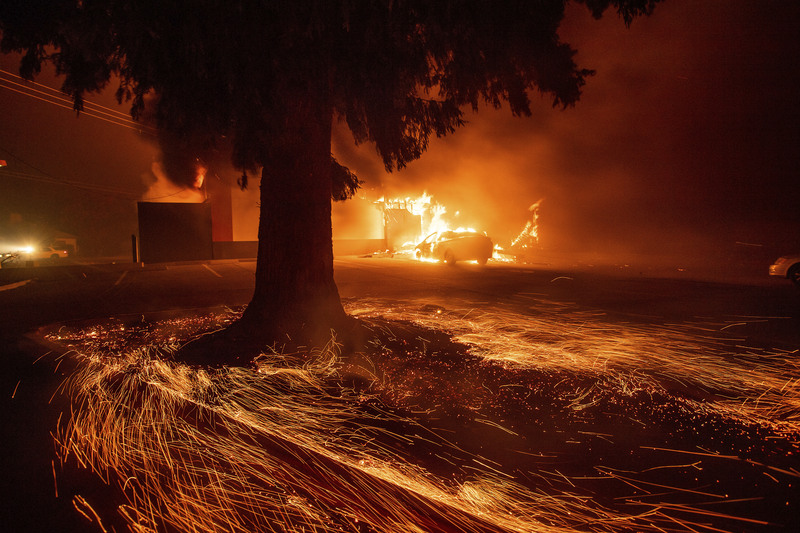 Nine people died in what quickly grew into the state's most destructive fire in at least a century. From a pregnant woman who went into labor while being evacuated to seniors in a nursing home that can't get through to 911, here's the terrifying police radio detailing the terrifying evacuation in Butte County. 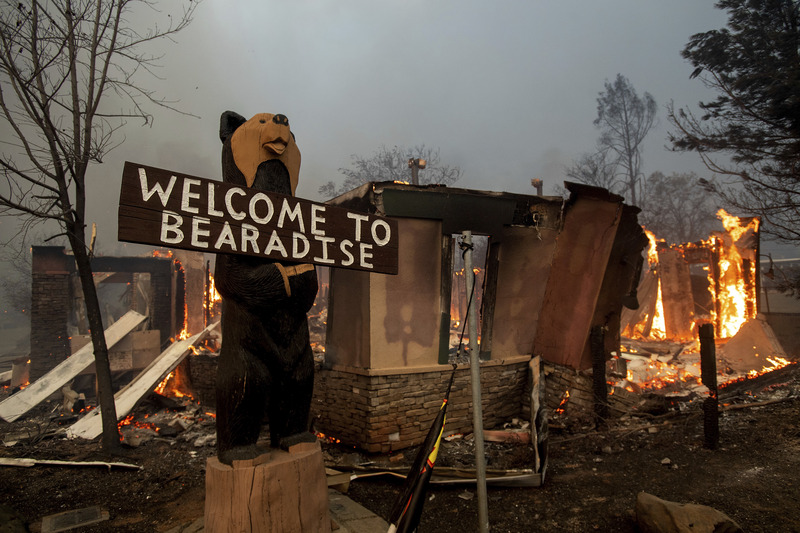 Flames consume the Black Bear Diner as the Camp Fire tears through Paradise, Calif., on Thursday, Nov. 8, 2018. On Friday night, authorities confirmed a sixth fatality but did not provide circumstances of death. While the cause of the fire wasn't known, Pacific Gas & Electric Company told state regulators in a one-paragraph summary it experienced an outage on an electrical transmission line near Paradise about 15 minutes before the blaze broke out. The company said it later noticed damage to a transmission tower near the town. The utility's filing was first reported by KQED News. Get the latest on the Camp Fire burning in Northern California here. ABC7 News and the Associated Press contributed to this report. 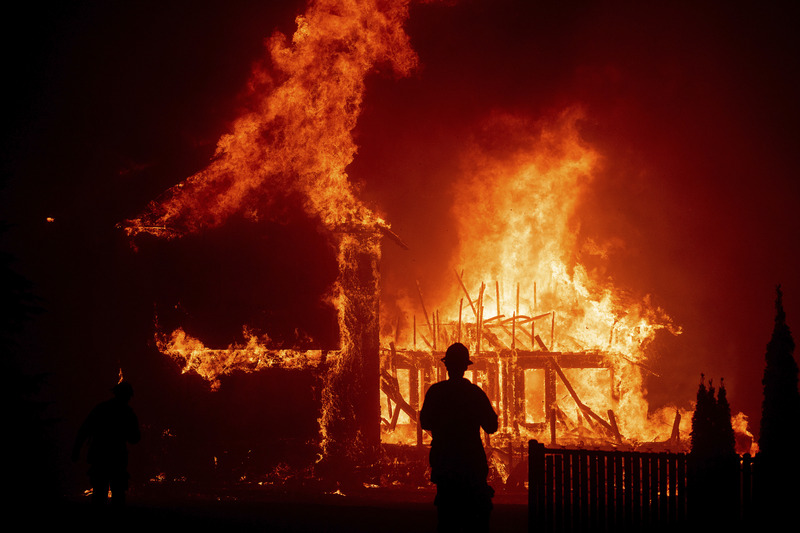 Terrifying police radio details wildfire evacuation in Butte Co.